Weingut Nigl, tucked deep in the Krems Valley on the edge of the Senftenberg mountain, often evokes feelings that one has travelled back to medieval times; the wines Martin Nigl creates are as ethereal as the vine lands that they come from. The ruins of the Senftenberg castle, erected in 1197, are perched above the terraced vineyards Höchacker, Pellingen, Piri, and Kirchenberg. These terroirs of primary rock, or 'gneiss,' planted to riesling and grüner veltliner, have much more in common with the Wachau than with the rest of the Kremstal. In fact, the border between the Wachau, to the west is political, and the geology is much more similar to the famous sites in that region. There is an important climactic difference in the two regions. Due to the influence of the forested mountains, Seftenberg experiences cooler nights than the Wachau and therefore larger diurnal swings in temperature, drawing out the ripening season and contributing spiciness and depth to the wines. The collection of vineyards on the terraces of Seftenberg's southwest facing slope is outstanding: Höchacker on the top terraces, Pellingen directly below, the Piri, and 4 small terraces called the Kirchenberg next to the winery. Nigl also has vineyards in the village of Krems, mostly planted to grüner veltliner including some very old vines, 75 years in age, planted on loess soils that contribute more opulent fruit and a creamier texture. 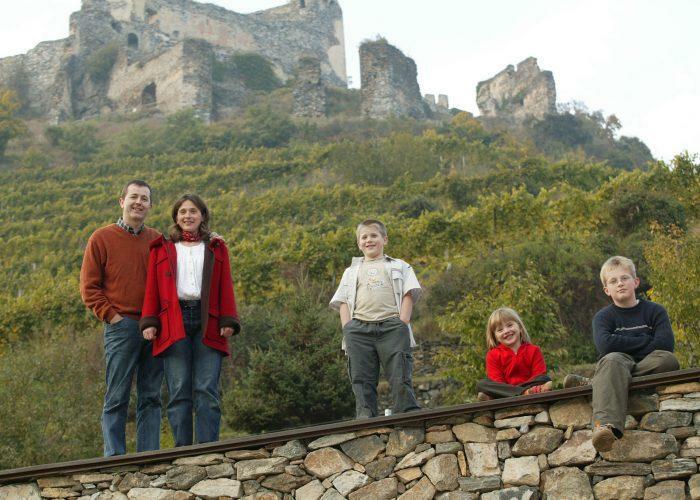 Martin Nigl is a first generation winemaker, beginning in 1985 after convincing his family to keep the fruit from their small quantity of vines and bottle it themselves rather than selling it to the local co-op. The history with grape-growing is not nearly as recent though; the Nigl family has been farming here for over 200 years. Martin practices sustainable farming, never using herbicides or insecticides, plants cover crops of legumes and herbs, and avoids copper, a mainstay in the biodynamic arsenal, but which he considers detrimental to his vines' vitality, and harmful to the soil. In the cellar, Nigl works almost exclusively in stainless steel, never de-stems, uses only ambient yeasts, settles musts by gravity only, racks twice and never fines before bottling. The resulting wines are some of the most crystalline, transcendent bottlings in the portfolio. Wine Spectator 90"A very creamy aroma leads to flavors of ripe tangerine, honeydew melon and tropical fruits. The opulent, spicy finish features crisp, powerful acidity. Drink now through 2020." - KM - Spectator (May 31, 2011)"